It was the perfect day for the first Highland Adventure Fest to bring all that’s great about the outdoors into the indoors. With rain battering down outside, the hall at Inverness Leisure was busy with talks, activities and stalls on Sunday, March 24. I headed down to the centre with my family to see what fun and inspiration we could muster from some of the most prominent activity providers, shops, publishers and organisations operating in the area. The children had only one objective – and that was to try out the orienteering taster course run by Scottish Orienteering and the Inverness Orienteering Club (INVOC). I’ve taken the girls to a handful of orienteering events and they really enjoy the sport, and I’m using it to teach them good map-reading skills from a young age which I hope will stick with them for life. Trying out the open canoe at the Glenmore Lodge stand. They were so dedicated to having a go that they won a spot prize – of junior INVOC membership for a year, so it looks like I’ll be taking them to a lot more events soon! Elsewhere in the hall it was great to catch up with some familiar faces as well as some new ones. 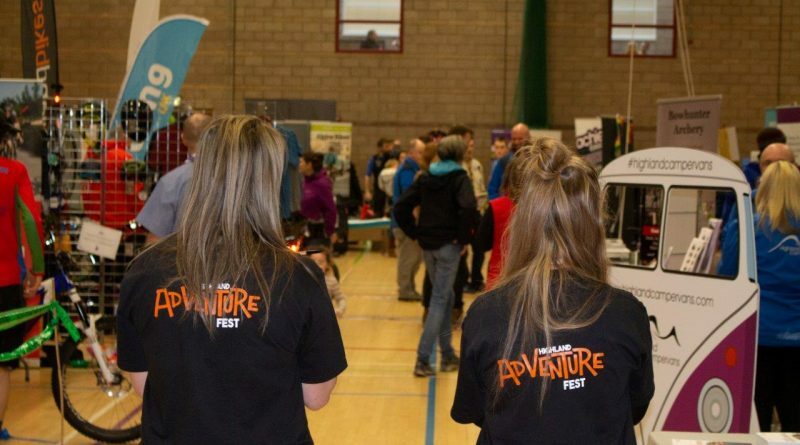 All the exhibitors I spoke to said the Highland Adventure Fest was proving a valuable opportunity to share their particular passion for the outdoors, whether at their stall or on the stage. There were a variety of talks and, despite the poor sound quality in the echoey sports hall, speakers were able to get their message across to the small audience which gathered for each one. These included an interesting hands-on talk on outdoor first aid with Cory Jones, a cooking demonstration from Mac and Wild, a look at the 24-hour Strathpuffer event with Alasdair Lawton and an inspirational presentation about the value of taking children into the outdoors by Chris Wilson from Dingwall-based Liquid Footprints. My eldest daughter Clara – whose birthday it was – enjoyed having a go at standing on a surf board and Jennifer was interested in hearing more about the Rainbows from the Girlguiding stand – until they met up with friends and spent time playing with their new “indoor frisbees” from ACE Highland Adventures, a Moray firm providing activity holidays and white-water experiences on the Findhorn. Donald Macpherson was also there with his stand-up paddleboards – just one of the many water sports he coaches and guides through his company Explore Highland, based on the Caledonian Canal in Inverness. 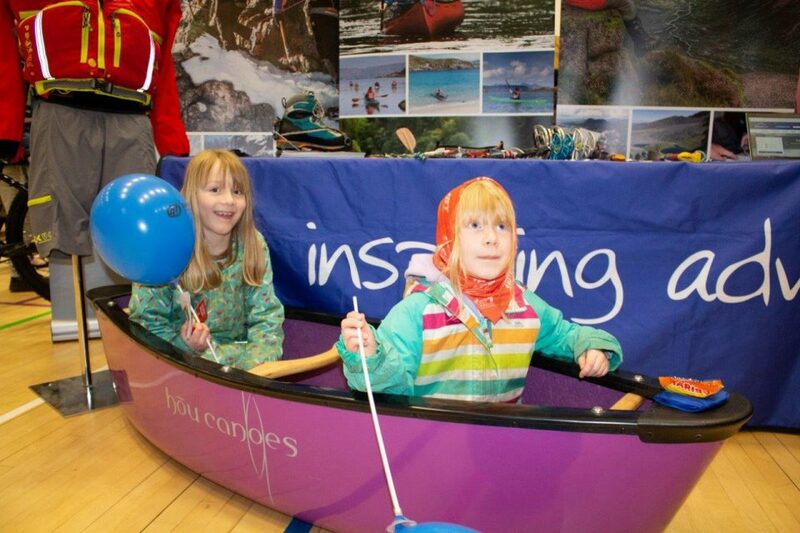 The girls also got to hop in a little canoe at the Glenmore Lodge stand, while outside there were cycling sessions from Scottish Cycling and led rides from Cycling UK, though the weather meant these weren’t as popular as they might have been. Cycling UK was promoting a number of local projects, including WheelNess which lends bikes to people in the Highland capital who would otherwise struggle to fund their own transport, and Cycling Without Age Inverness, a wonderful scheme where people in care homes are taken on rides around the city in a comfortable trike. 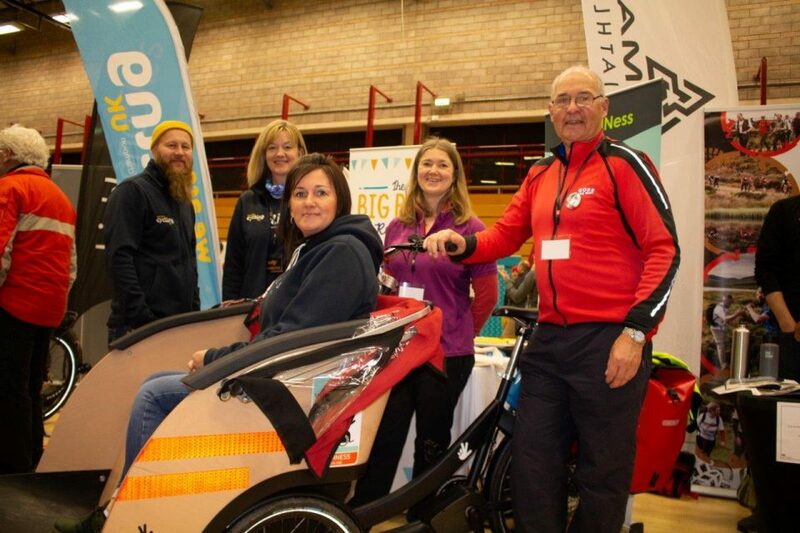 Cycling UK was there with its Cycling Without Age trike. Back in the hall I was keen to learn more about the Loch Ness 360 route from Graeme Ambrose, of Visit Inverness Loch Ness. The circuit of the world-famous water is set to be officially launched this summer with a special map, website and social media presence. 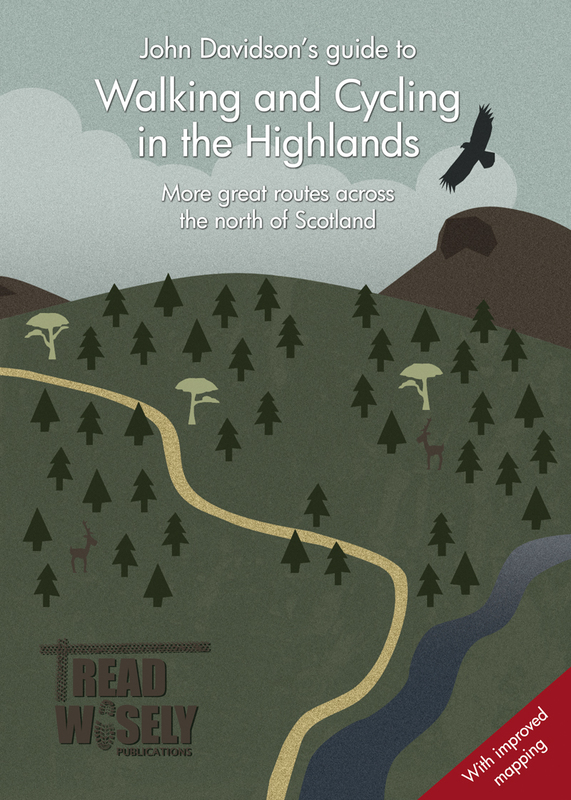 It links together the Great Glen Way on the north side of the loch with the South Loch Ness Trail to make a complete circuit around the famous waterway. They enjoyed playing the migrating birds game and went away with little packs to make a bumblebee out of pine cones and pieces of wool. Having been busy for most of the day at the festival, we headed home to enjoy some well-earned birthday cake to celebrate Clara’s big day. The first Highland Adventure Fest – organised by Planit Scotland and sponsored by Glenmore Lodge – had kept us all busy and interested, and had given me plenty of ideas of even more ways to make the most of the great outdoors in the area.